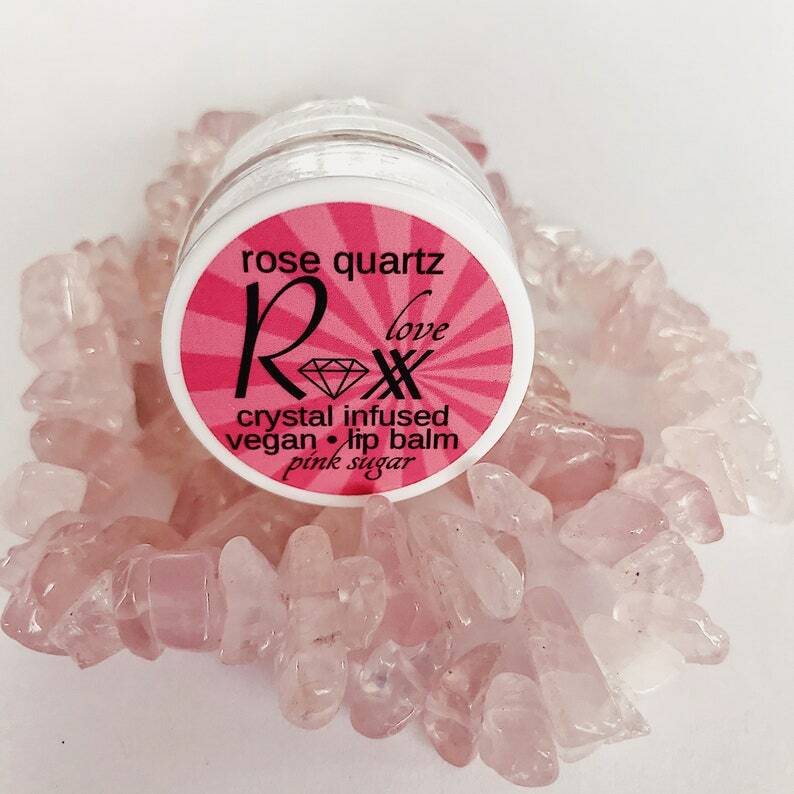 Rose Quartz infused lip balm is vegan and made with all organic ingredients. Rose Quartz is the crystal of love, self love and forgiveness. If pink had a smell this is what it would smell like. At the bottom of each .25 ounce glass jar is a Rose Quartz crystal, it's energy is just swirling around in the balm. Pink Sugar contains absolutely no fillers, alcohol, animal ingredients, artificial colors or Dibutyl Phthalate. What's inside: rose quartz infused organic olive fruit oil, organic candellila wax, organic coconut oil, organic shea butter, organic palm fruit oil, organic jojoba oil, rosehip seed oil, vitamin E, sunflower seed oil, organic neem seed oil, organic rosemary leaf extract, dibutyl phthalate free flavor oil. *Flavor oil is a bit of a misnomer. Flavor oils are really lip-safe fragrances. They smell but do not taste. Flavor oils are used to scent your lips. Arrived quickly, cute packaging. Would buy from again, thank you!